Whether you are visiting from out of town or you have lived in San Antonio all of your life, participating in a ghost tour is one of the most interesting and fun ways to get to know all of the local haunts. RJA Ghost Tours is proud to be a leading provider of these fun and interactive events, and we would love to host your next solo or group event. Contact one of our event coordinators at 800-407-1704 or book your tour online now to plan a fun, frightful night on the town! There are a few business items to attend to before your San Antonio ghost tour gets underway, such as introductions, precautions, and safety information. When you pay to go on a ghost tour, you want to know that the company you are touring with is knowledgeable and experienced.  The team at RJA Ghost Tours are more than just amateur ghost experts.  In addition to leading our legendary tours, we are Certified Tourism Ambassadors and trained paranormal investigators. Before we kick off our tour, your tour guide will introduce him or herself and provide a little background on how they came to be qualified to lead a ghost tour. The health and safety of our guests is of the utmost importance.  We want to make sure that you enjoy your ghost tour and do everything that we can to provide a safe and fun environment for you. If there are any site-specific precautions, we will review this before the tour starts. Likewise, we will be sure to cover other safety information, such as appropriate footwear and attire to be worn during the tour. If you have never been on a ghost tour before, it can help to know what to expect during the evening. Our guided tours include sightseeing, history lessons, ghost stories, and photo opportunities. Our San Antonio ghost tours are approximately two hours long, and they are walking tours. Because of this, you should plan to wear comfortable clothing and shoes. Many locations have features such as stairs and uneven ground that can be difficult for some individuals to navigate. If you have any concerns about this, then please speak with us ahead of time so we can ensure you are comfortable during your tour. Also, hydration is important, so please bring your own water for the tour. San Antonio is a city that has a rich and diverse historical background. Many of the sites that we will take you to are hundreds of years old. Our tour guides are incredibly knowledgeable about the town and its history, and throughout the tour, they will provide commentary specific to each location. In addition to these history lessons, you can expect to hear ghost stories and folklore associated with each site, allowing you a deeper appreciation for our local haunts. Although most people go on a ghost tour with the expectation of seeing a ghost, this rarely occurs. This is not because ghosts aren’t present, but rather because they can be difficult to spot with the naked eye. We encourage our guests to bring cameras and take pictures during the tour. You never know — you just might capture an orb or other unexplained phenomena in your photos. Once the tour is complete, your tour guide will offer to answer any questions that you may have about the tour or various historical sites. Some of our guests even love sharing their own ghost stories during this time. Those guests who would like to share interesting photos that we taken during the tour can also do so at this time. Additionally, if you would like more information about our Paranormal Investigation Experience, you can speak about this with your tour guide following your ghost tour. Book a San Antonio Ghost Tour Today! Are you ready to experience an exciting historical ghost tour through one of the most haunted towns in the United States? RJA Ghost Tours is your go-to source for tours that are as fun as they are educational and frightening.  We provide discounted rates for groups of 10 or more people, and we are happy to offer discounts for first responders and military members. If you are interested in a more hands-on experience, our team of professional paranormal investigators would love to teach you about modern-day paranormal investigations. We work hard to gather scientific research and historical public data to confirm or deny the presence of paranormal activity. Visit our FAQs page to learn more about our tours, then contact our team today and speak with a Certified Tourism Ambassador to book your next adventure!